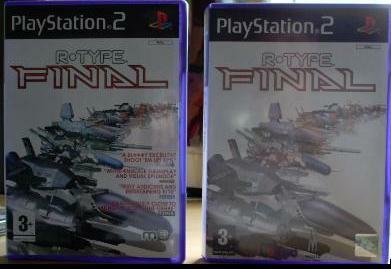 R-Type Final was meant to be the last game in the series. But when Irem remembered that ending there one series people actually care about was probably a bad idea, they had a change of heart. 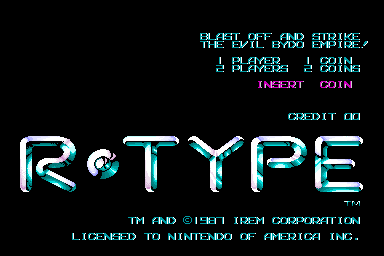 Anyway, R-Type Final. Pretty average game but if it was meant to be the last one in the series you would have thought some effort would be put into it. Especially the box. Well. TEA STAINS ON THE COVER. There really are tea stains on the sleeve. No, they aren't stains I've put on, they are actually physically imprinted on the cover. I even checked other copies of the game on the shelves of my local Gamestation and they also had the tea stains on them. So in other words, somebody at Metro 3D got tea stains on the master copy of the cover sleeve just before it went to print. 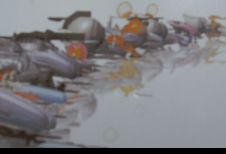 This is one the back of the box. I'm sorry, "BAIDO" must be destroyed? I thought the bad guys were the Bydo? And the older games also thought this? 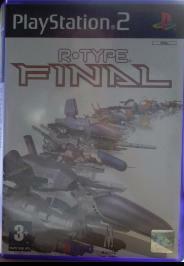 R-Type Final box: version II! This version is happily tea stain free and states a whole lot of review scores and comments (lies) on the back and front of the sleeve. The manual has been made worse though as it has just 8 pages compared to the previous version which had 52, but hey! No tea stains. 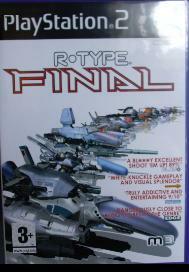 Going to buy R-Type Final? (Don't bother -get R-Types instead) Live in the UK? Then make sure to get the version on the left!